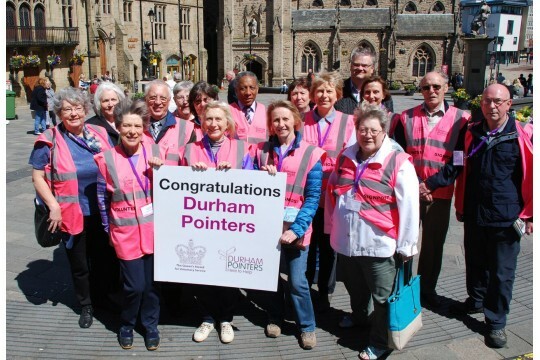 Our 65 volunteers, in their distinctive pink jackets, are an established part of the city centre during the summer months. As 'mobile signposts' we welcome visitors and hand out map leaflets and information about transport options, visitor attractions and access to local services.We also operate a coach Meet and Greet service enabling passengers to make the best use of their time in the city.Our aim is to ensure that all visitors leave Durham impressed by its beauty and warmth of its welcome. The people of Durham are its greatest, but largely untapped, tourism resource. Our volunteers love Durham and want to share that enthusiasm with others. We enhance the visitor experience and contribute to the economic vitality of the city. We believe that the unique physical and cultural attributes of Durham should be enjoyed by as many visitors and residents as possible. In partnership with local disability groups, we have developed leaflets which signpost accessible routes within the city. 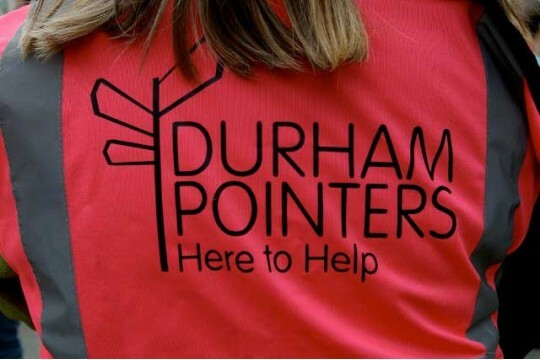 We need volunteers to join us in welcoming visitors to Durham and to deliver our unique information and signposting service in the City centre.